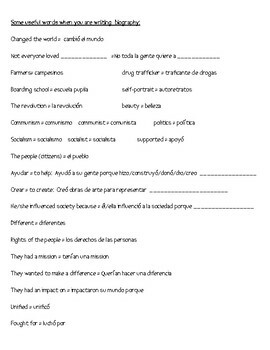 I made up this page to help my Spanish 2 high school students write a biography. 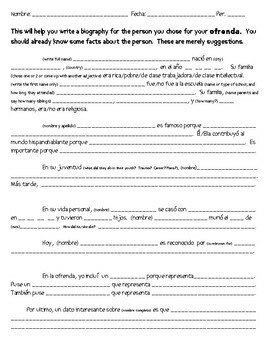 It has a bunch of sentence stems and suggestions to help them organize their thoughts. It thought this was better than them google translating everything! I am including the project sheet with a rubric, too!